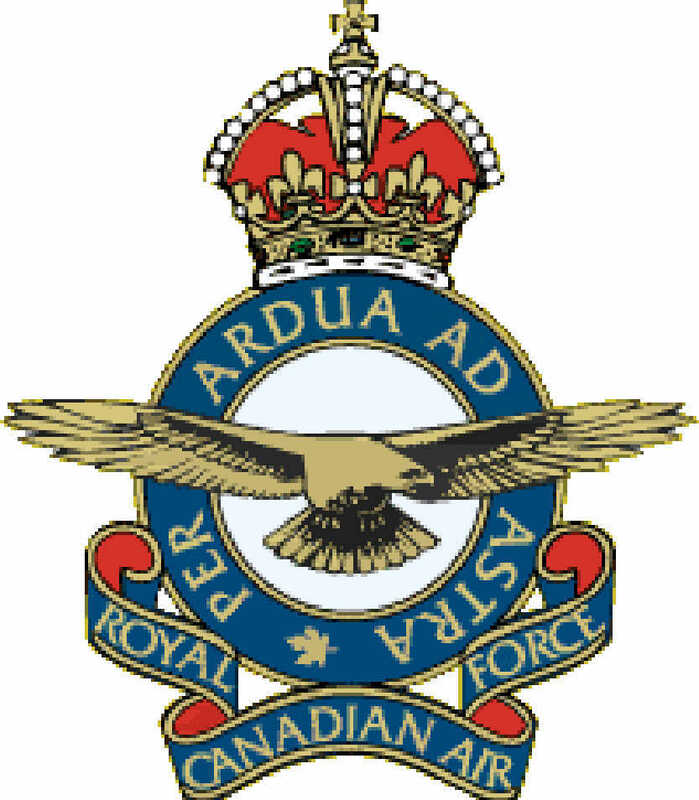 419 Squadron was formed during World War II on December 14,1941 at Mildenhall,Suffolk,England, and was the first RCAF squadron to be acquired by No.3 Group of RAF Bomber Command. The first Commanding Officer was Wing Commander John "Moose" Fulton,DSO,DFC,AFC, a native of Kamloops B.C. 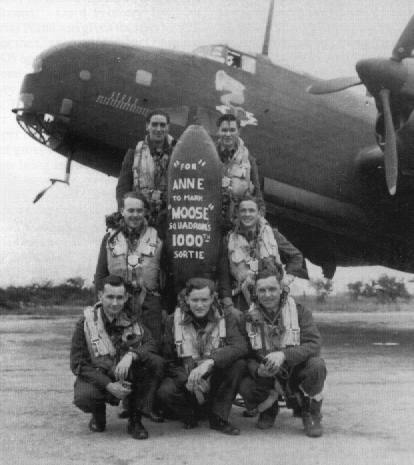 It is from W/C Fulton's nickname "Moose", that the squadron adopted it's moose emblem. 419 Squadron initially flew the Wellington bomber aircraft,progressed to the Halifax bomber, and eventually onto the AVRO Lancaster.Moosemen flew a total of 4,325 operational sorties during the war from Mannhiem to Nuremburg, Malan to Berlin and Munich to Hanover, inflicting heavy damage on the enemy. As a result of it's wartime record,419 Squadron became one of the most decorated units under the RCAF during World War II. Pilot Officer Andrew Mynarski recieved the Victoria Cross, one of two awarded to the RCAF during World War II,for an act of heroism during a sortie over enemy occupied France. In honor of P/O Mynarski, 419 Squadron set aside a special room in which some wartime squadron awards, achievements and momentos were kept. After Japan officially surrendered, 419 was disbanded on September 5, 1945, ending it's wartime service. An additional 14 Lancasters were destroyed in crashes. The squadron converted to Lancasters in April 1944. The squadron holds many records for its heavy casualties. Tied with 427 squadron for carrying out the most bombing raids with in 6 Group. Flew the most sorties and suffered the highest casualties with in 6 Group. Suffered the most losses and the highest percentage loss in 6 Group Halifax squadrons. 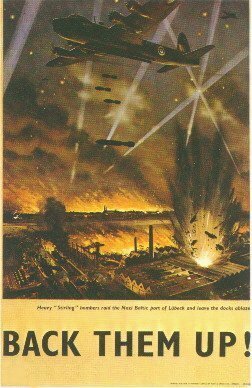 Carried out the most bombing raids and flew the most sorties in 6 Group Lancaster squadrons. Battle Honours: English Channel and North Sea 1942-1944,Baltic 1942-44,Biscay Ports 1942-44,France and Germany 1942-45,Ruhr 1942-44,Berlin 1942-44,German Ports 1942-45,Normandy 1944,Rhine,Biscay 1942-44. This is the Kamloops Cenotaph, you will not find a single name on it from the 419th Squadron, this isn't out of disrespect, the cenotaph was erected in 1925.they have created a new memorial in Riverside Park in the early 1990's,I still pay my respects at the original one, it has more tradition to it. F/Lt J. Virtue from 419 Squadron returned early as Sgt L. Turner RCAF, the mid upper gunner, had a collapsed lung. P/O R. McIvor RCAF and crew, flying Halifax II JN-954 coded VR-R, failed to return from this operation. This was the last operation in which 419 Squadron used the Halifax II. Being raised in Kamloops BC the 419th has always been a legend to me, I know more about the squad than most people in this town.I always viewed the squad as heroes and all other WWII Veterans as heroes,this may seem odd to some, but think about it for a few moments and see if you can understand why I do. These men who fought on the ground at sea and in the air were real heroes, they were willing to do whatever it took to keep the people they loved safe, even if it meant sacrificing their lives so others could fight another day.In my book that makes them heroes and worth remembering.Remember it is us who carry the torch and we must never let it extinguish or what they fell for will be forgotten forever,and that would be the greatest dishonor we could ever do to them. "I respect the men on the fighting on the ground, but it takes a special breed to fight in the air"